Barbara brings more than 15 years of experience in business development and project management, focused primarily in the financial markets. Most recently she served as Senior Vice President of Business Development for The Receivables Exchange, a start-up funded by Bain Capital. 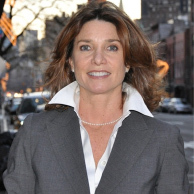 She also served as Principal at Bank of America in Strategic Development for Global Structured Products. Before receiving her MBA from Cornell University, Barbara was a script reader and story analyst for an independent production company in Los Angeles. Matt is known for his unerring taste, deep ties to the literary community in New York City and beyond, and fanatical (in a good way) devotion to his film and television projects. Matt founded Relentless Pictures, where he served as executive producer of the upcoming Predestination, starring Ethan Hawke. His other credits include the award-winning documentary Pursuit of Equality. He is also Head of Development for the management/production company Created By, whose credits include the HBO smash hit Game of Thrones, ABC’s Flash Forward, and the feature film Jumper. 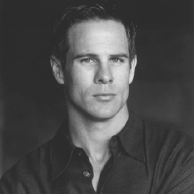 Matt started his nearly 20-year-long career in the literary, film, and television industry with Miramax Films.